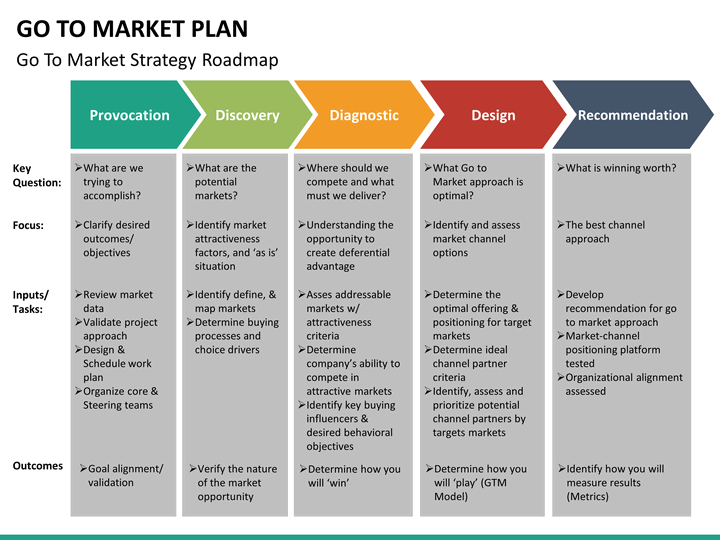 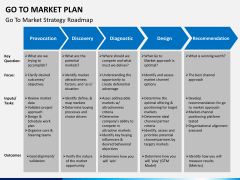 Presenting your go-to-market strategy has never been so easy. 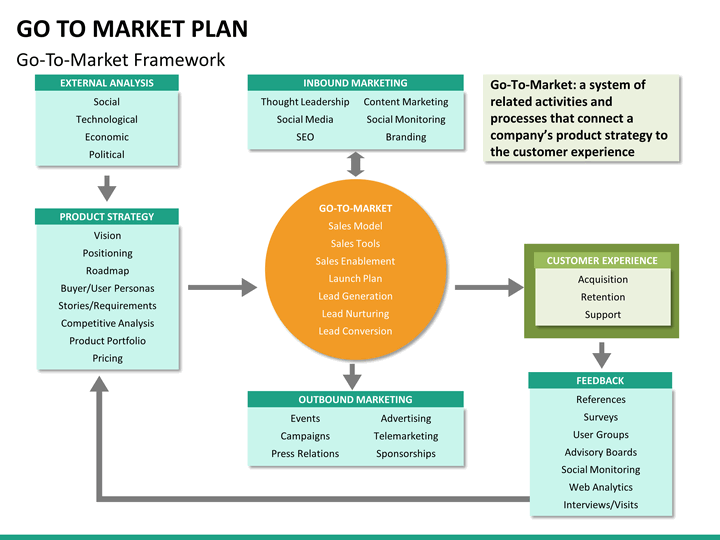 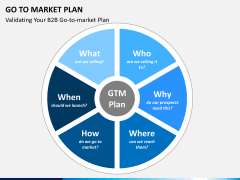 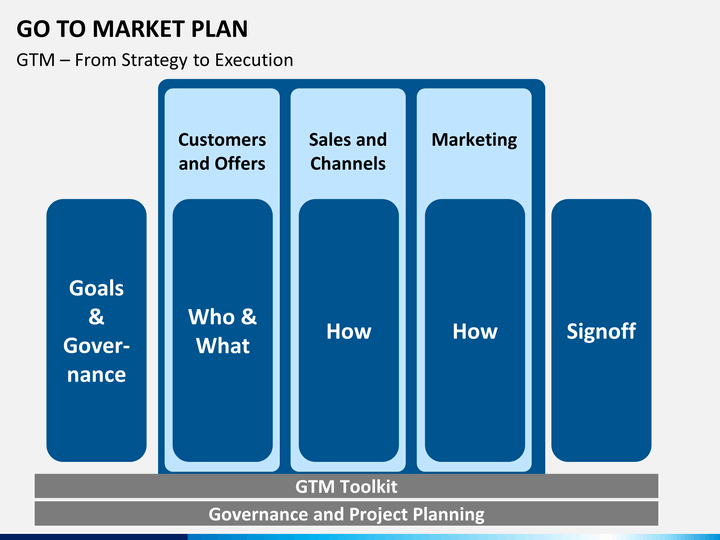 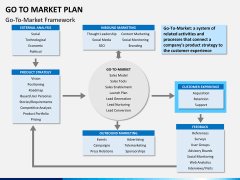 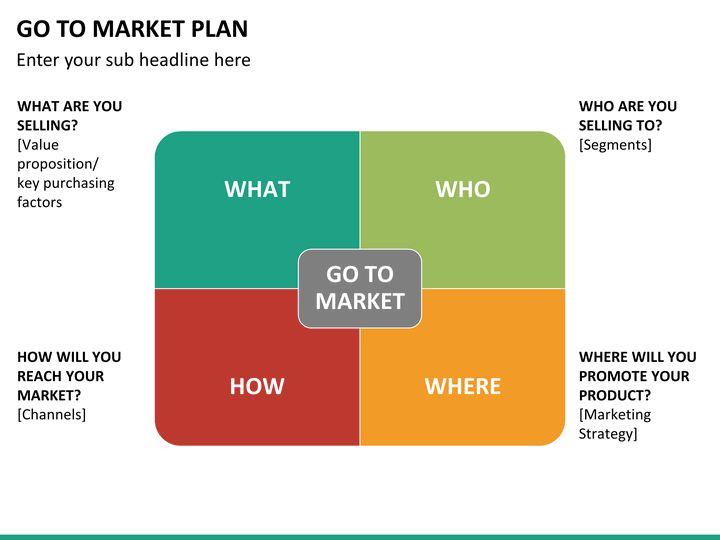 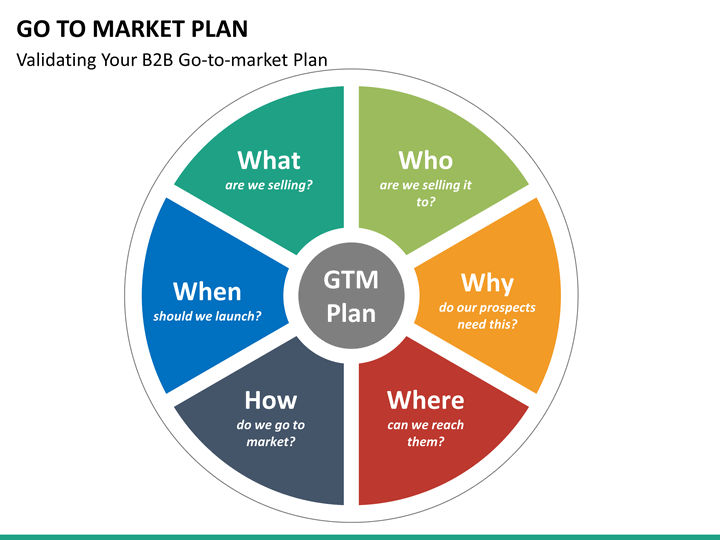 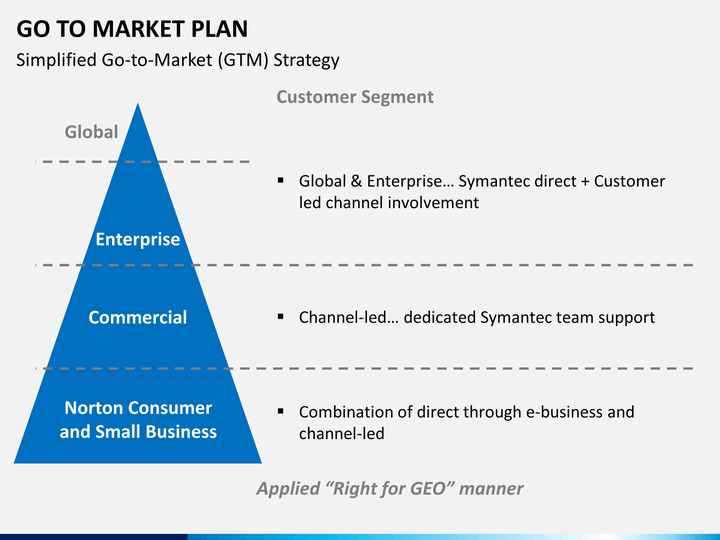 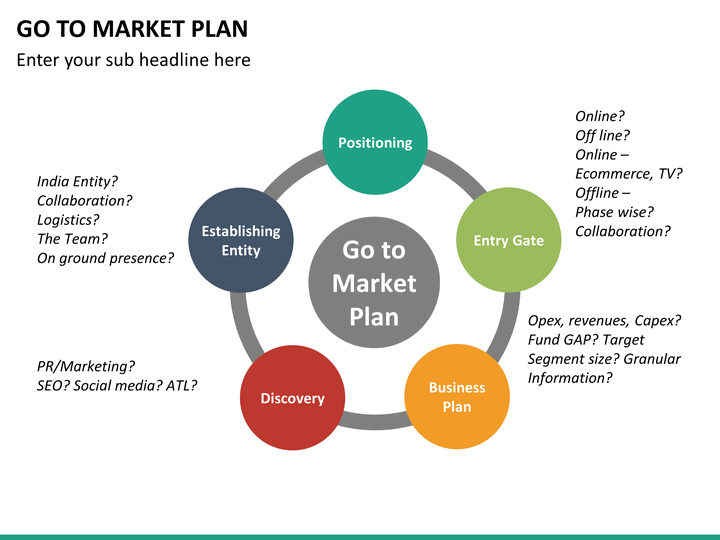 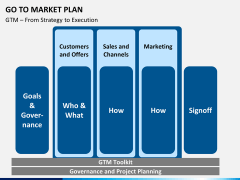 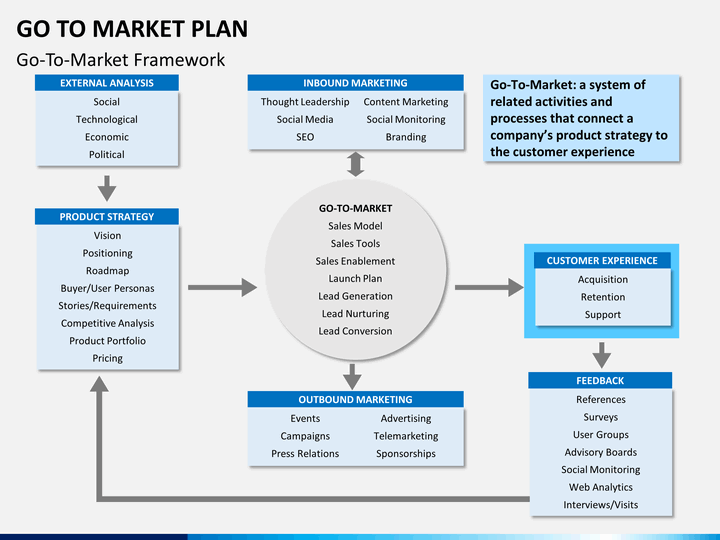 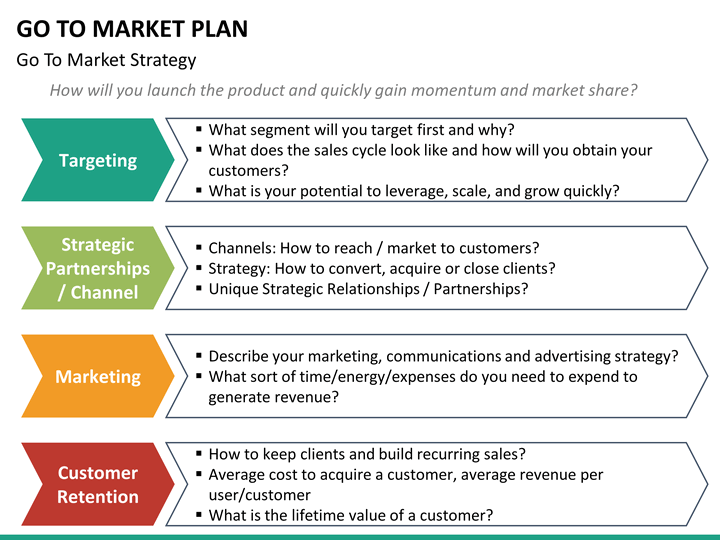 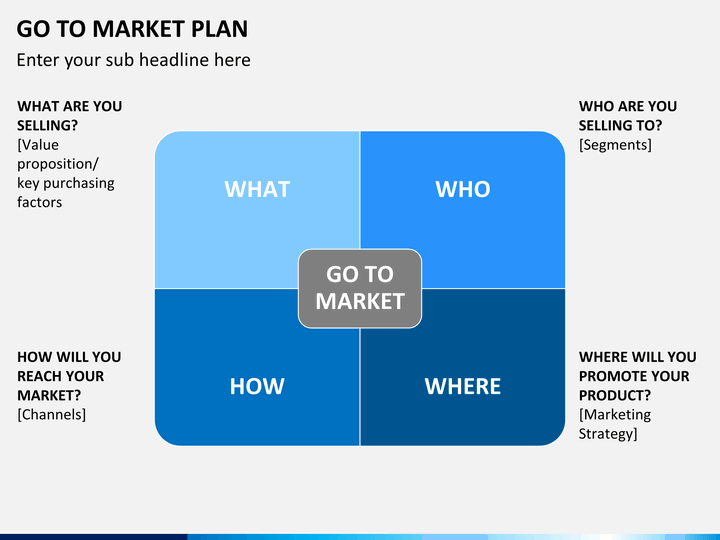 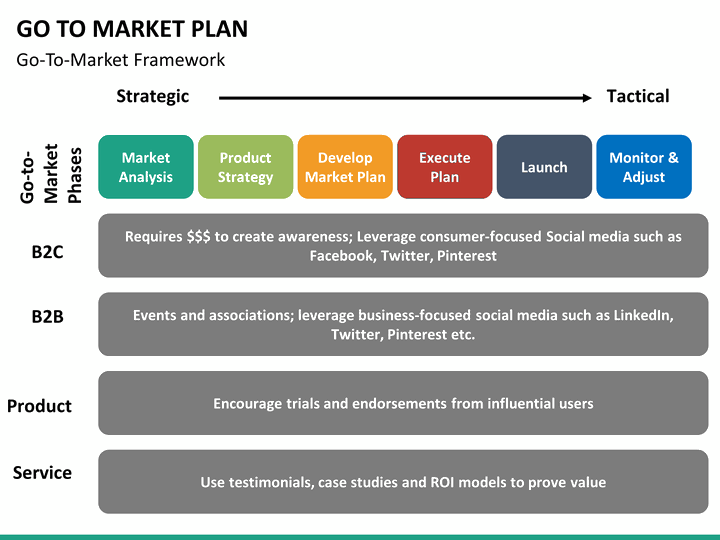 Use our fully editable Go To Market Plan PowerPoint template to explain your new strategy and gain valuable results. 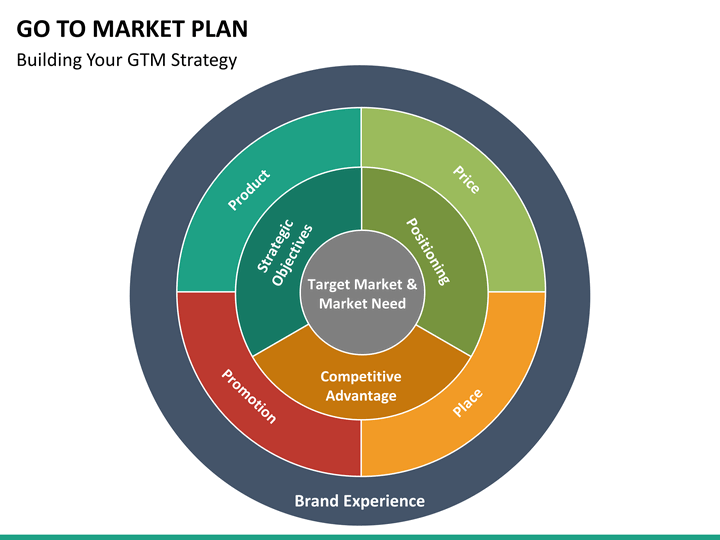 No thanks continue to checkout Go To Market Plan (GTM Plan) Template . 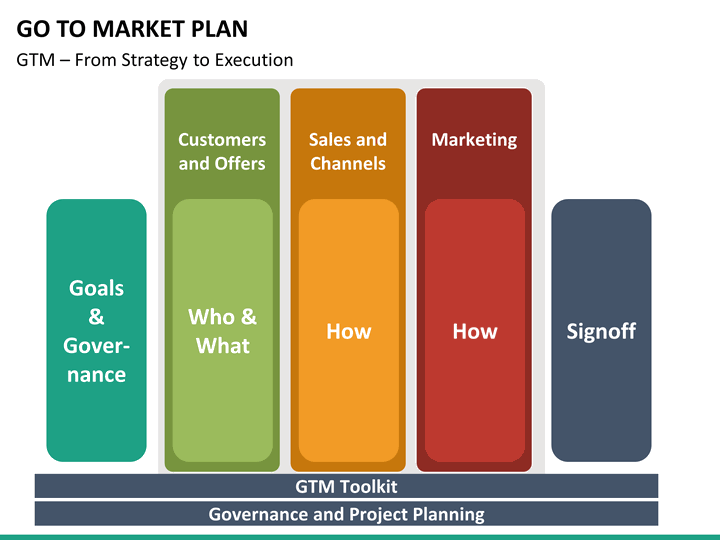 Every marketer or business analyst knows the significance of this highly-reputed strategy that is used to optimize the growth of any company. 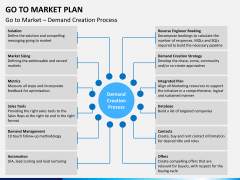 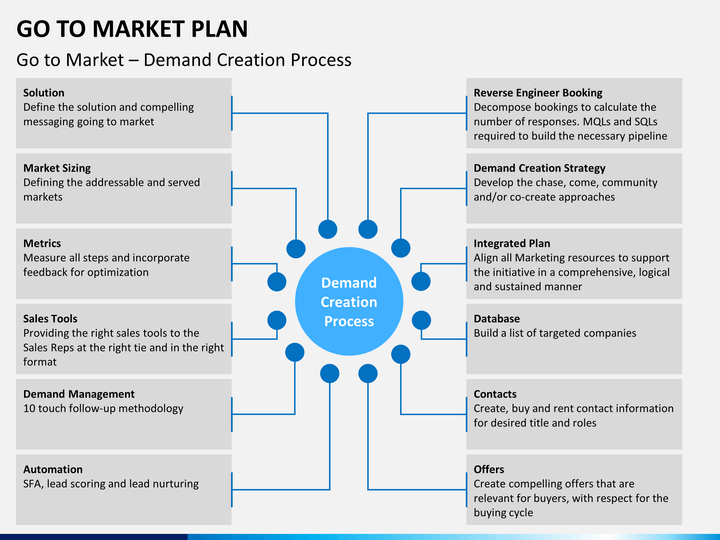 It is a complete plan that uses each and every resource of an organization to deliver the best of products and services and attain a competitive edge in the market to gain more customers. 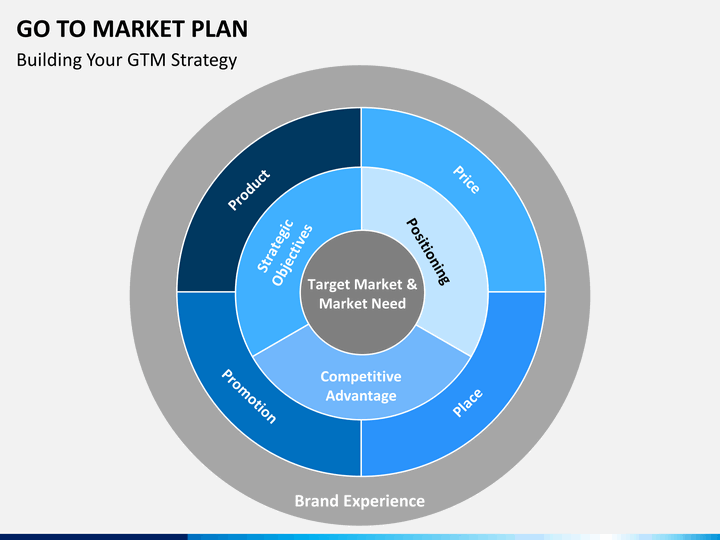 It is majorly implied to level-up the experience of customer satisfaction by maintaining the highest quality of a product with the most competitive price. 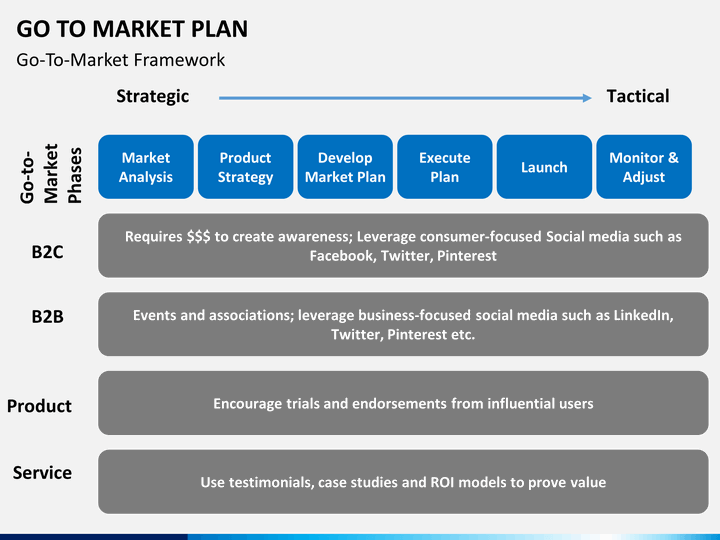 All of this can't be achieved without the involvement of every vertical of any company. 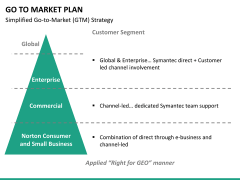 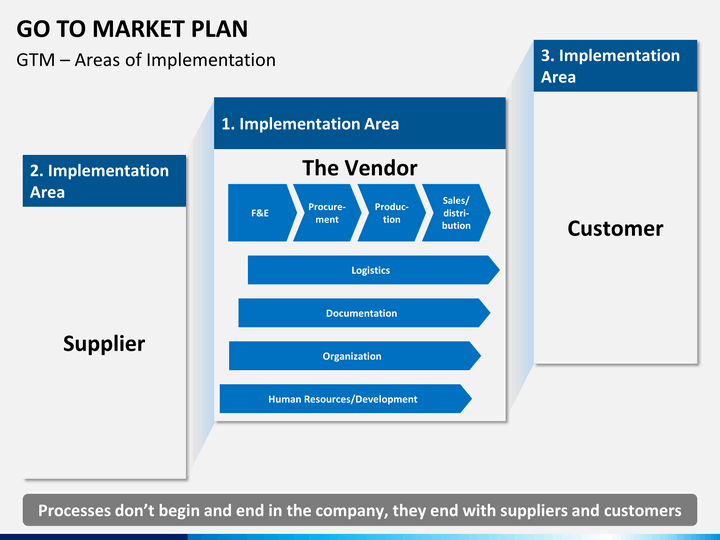 It is one such plan that connects every significant unit of an organization. 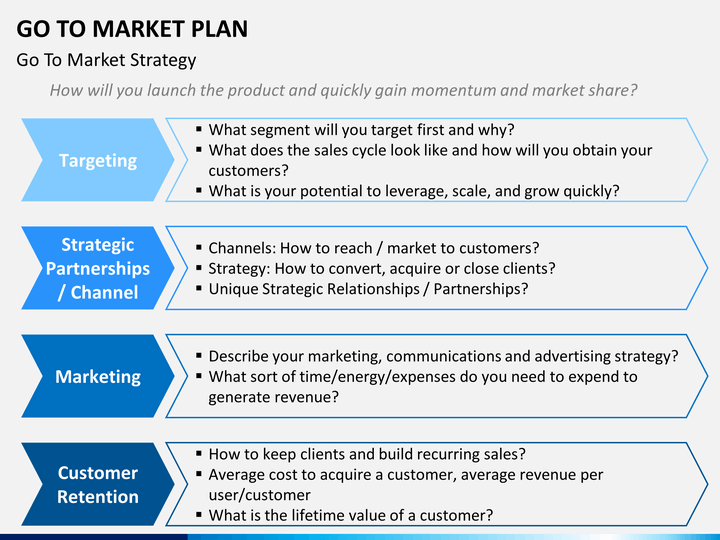 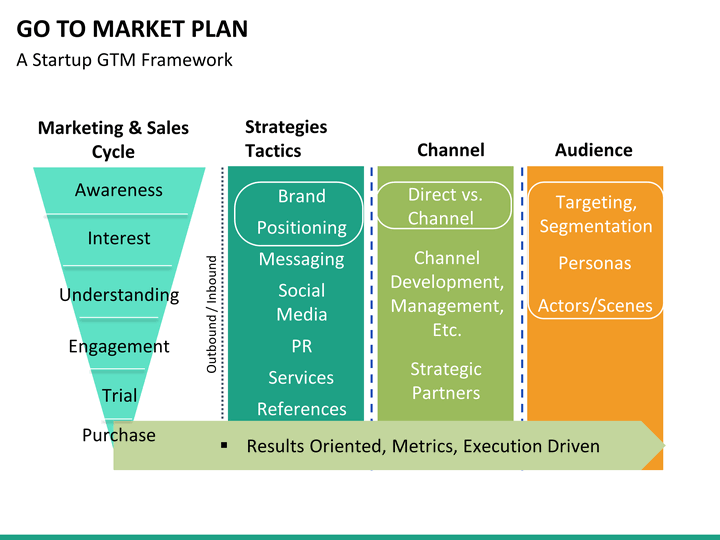 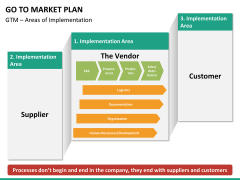 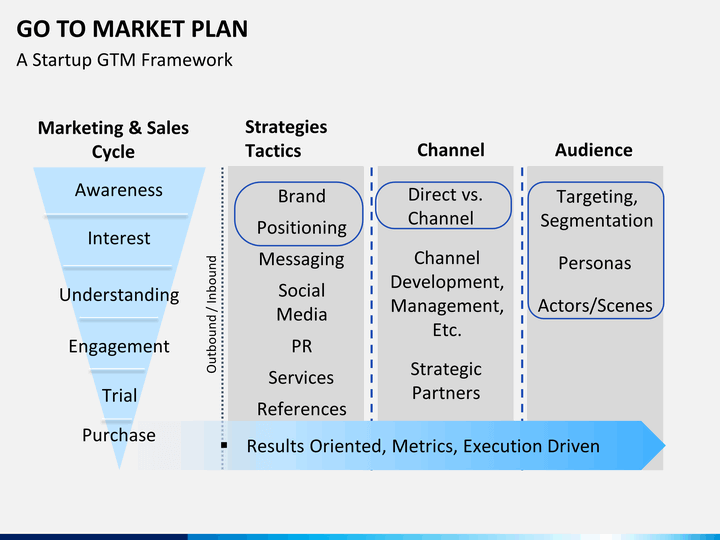 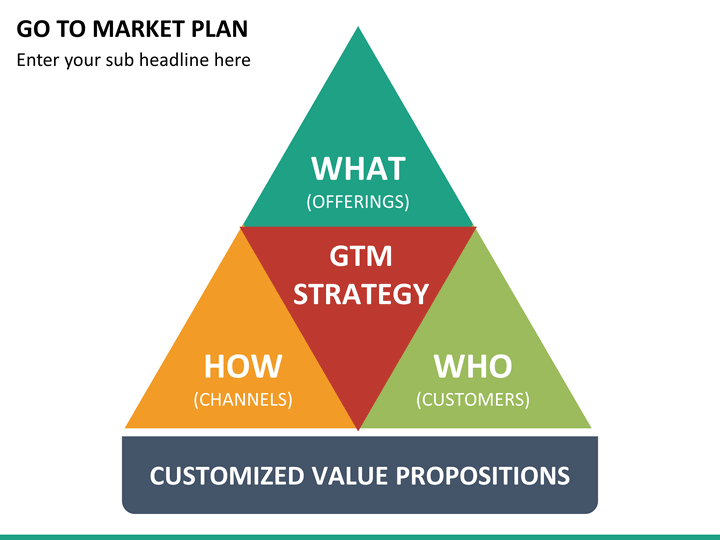 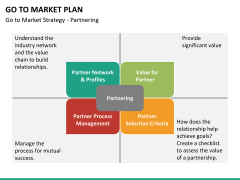 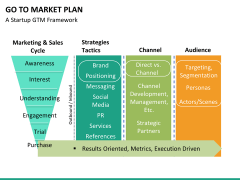 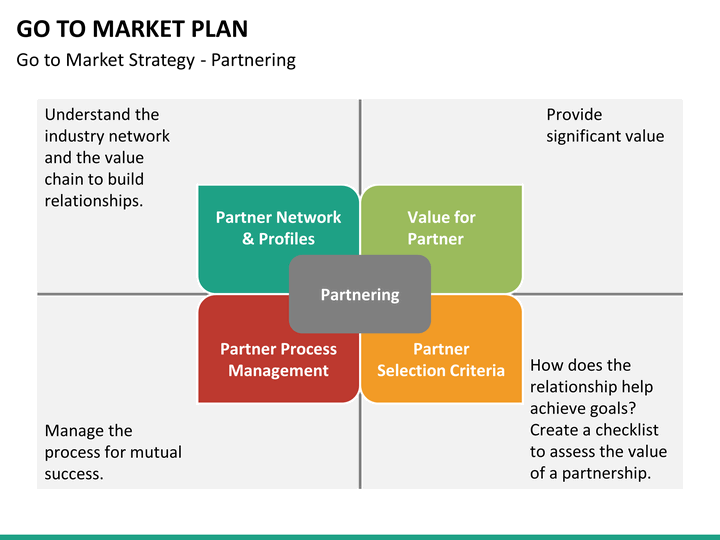 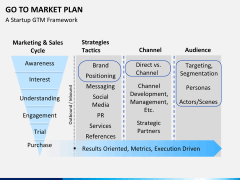 Whether it is manufacturing, marketing, sales, or distribution, the strategy covers it all. 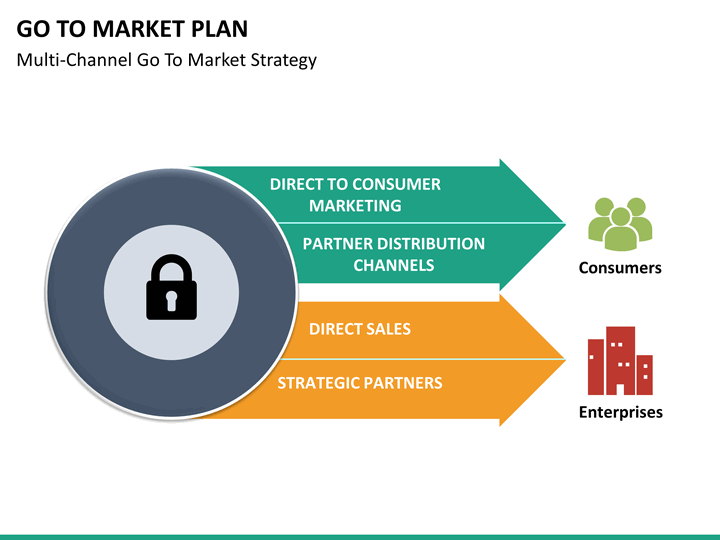 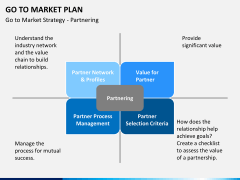 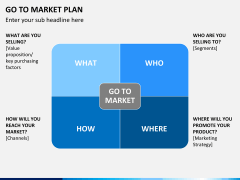 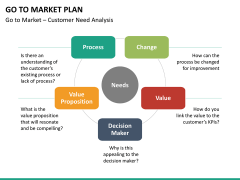 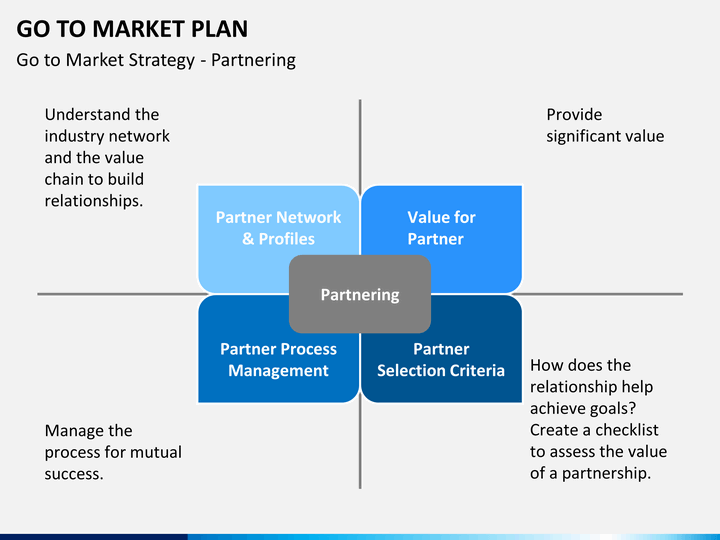 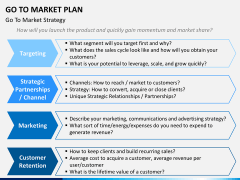 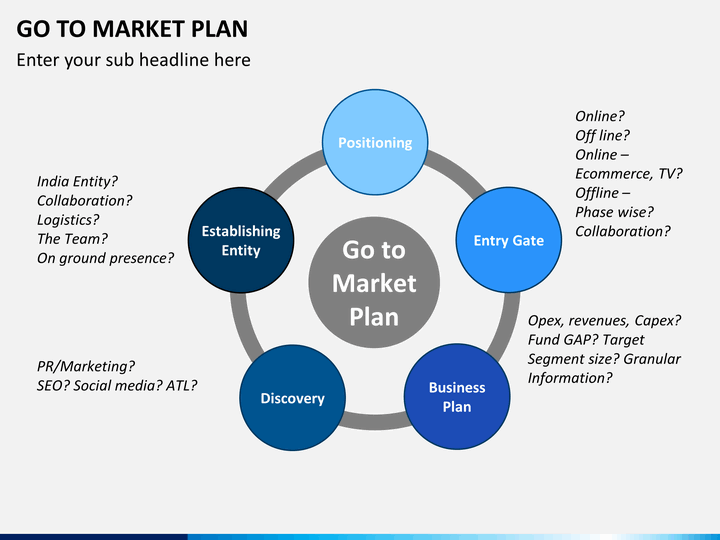 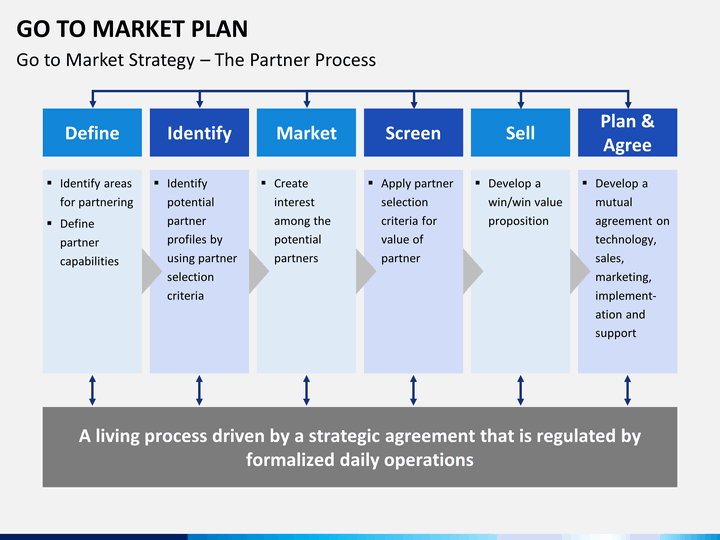 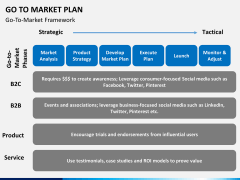 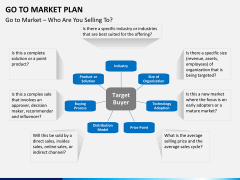 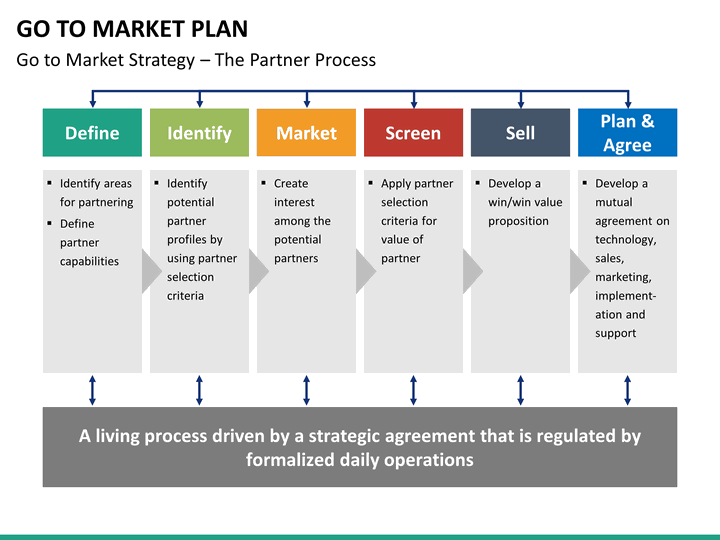 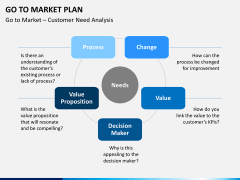 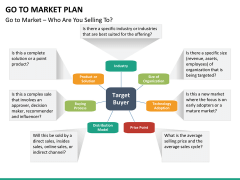 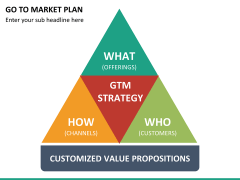 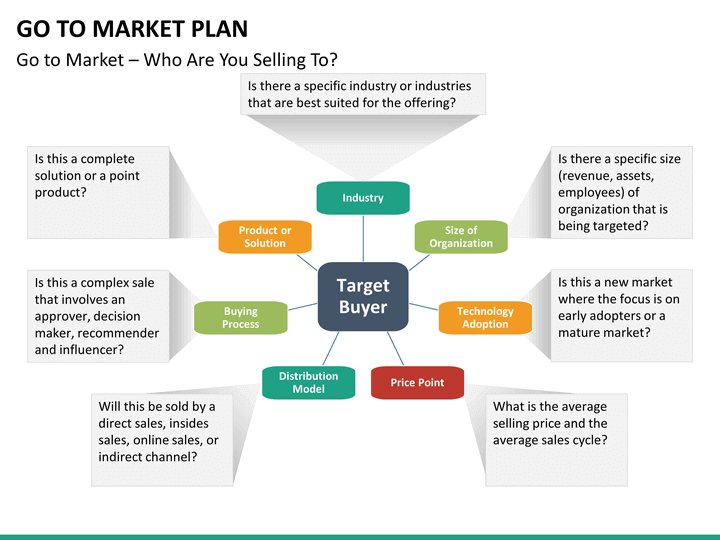 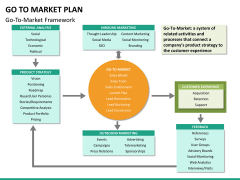 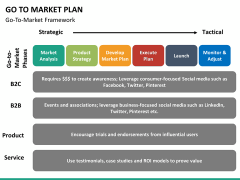 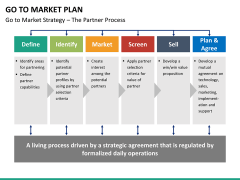 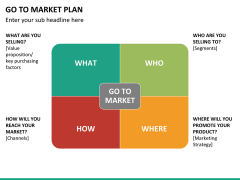 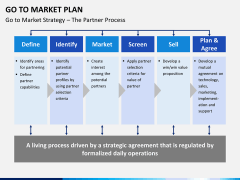 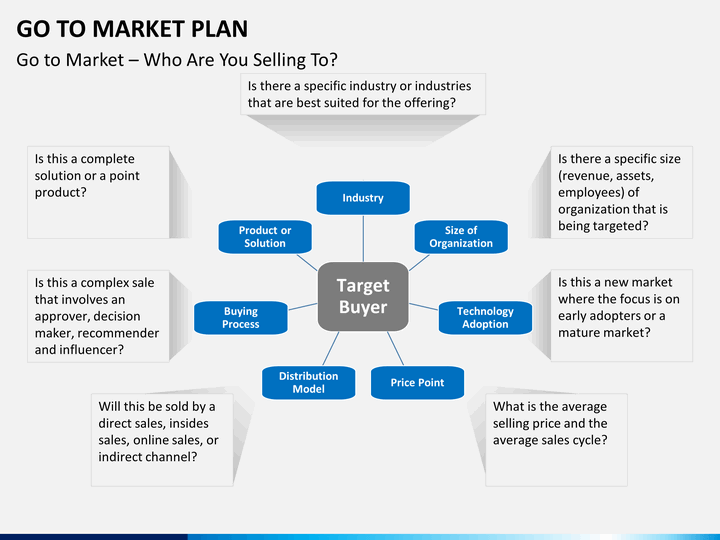 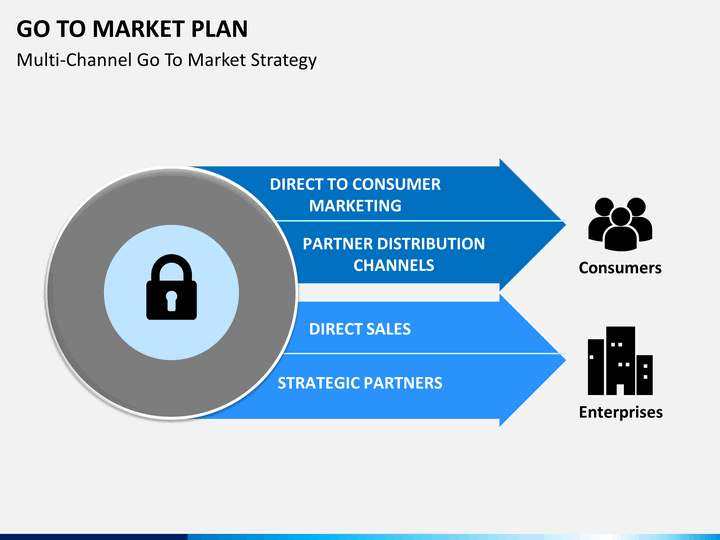 Our Go to Market Plan PowerPoint Template would be of great use and will let you explain this influential topic in a crisp and relatable manner. 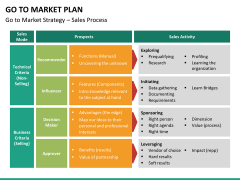 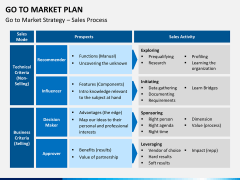 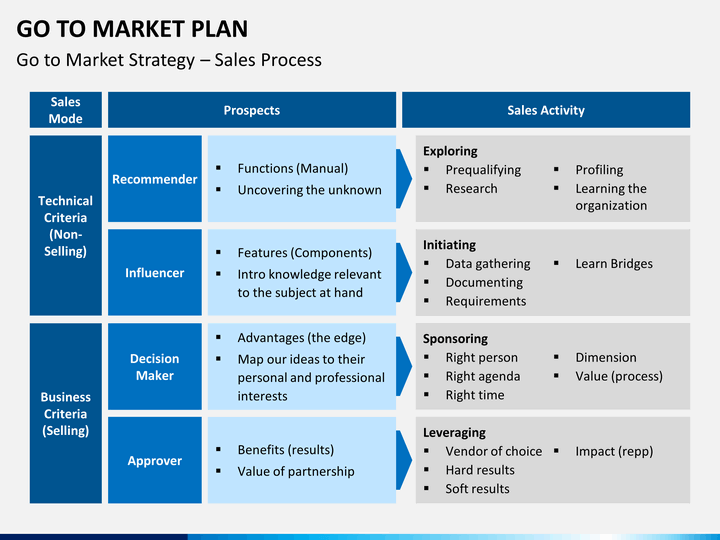 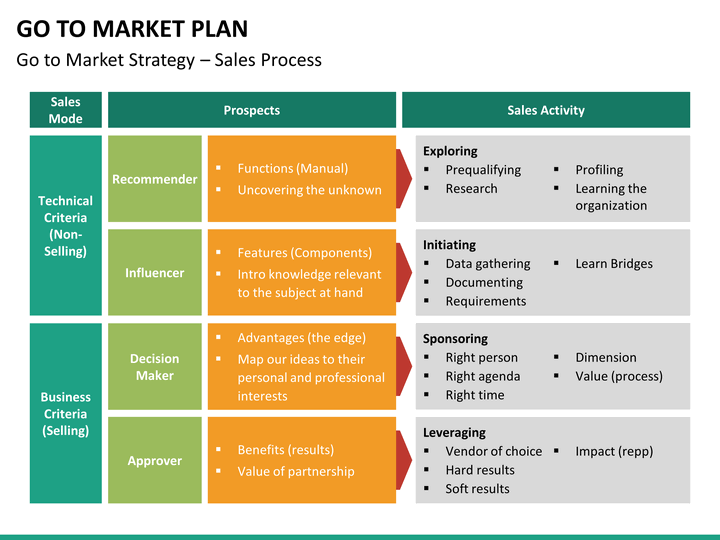 From company owners, market strategists, sales gurus, business analysts, and more - the template set is made for every professional who would like to use their creative chord to optimize the growth of their company and subsequently expand its share in the market. 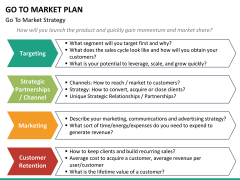 The set can be easily modified without any worry, letting you pitch your colleagues, stakeholders, and even future investors the idea you have to make your product market ready. The presentation will help you define the concept of the "go to market strategy" to your audience, letting you elucidate other significant verticals like the areas of implementation, B2B market plan, understanding your customers, creating your unique space in the market while beating the competition, the identification of different channels to achieve your goals, and a lot more. 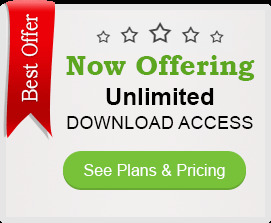 All of this can be achieved by using the high definition illustrations that are created after an extensive research. The presentation has a comprehensive collection of just the right information you need to make your audience understand about the go to market strategy. 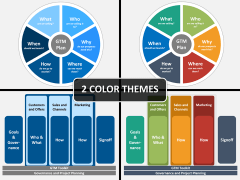 From timelines and flowcharts to pyramid diagrams and pie charts, a plethora of HD graphics are used in the set, which will let you reflect your idea about your strategy in an easy-to-understand manner. Don't waste your valuable time in digging the best template and making all those edits to draft your final presentation. 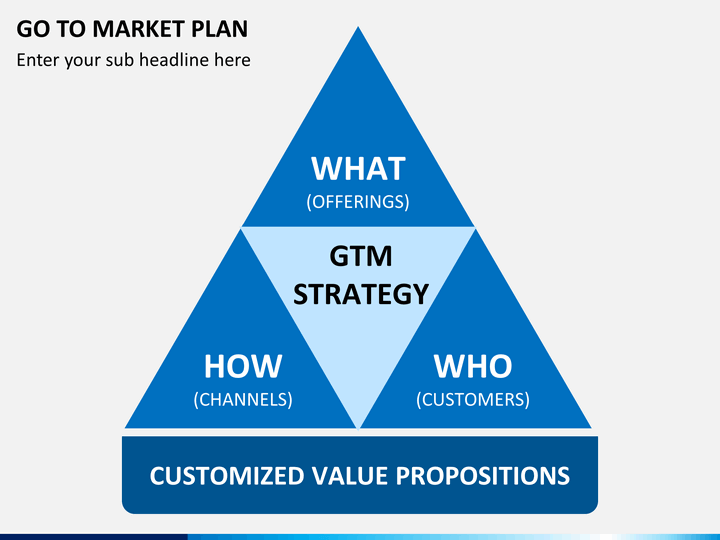 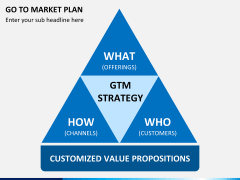 With this editable collection of PPT slides, you can present your GTM plan to your audience in an incredible way.